Ideal holiday getaway for friends or family. This modern, fully furnished, fully fenced 3 bedroom (main with en suite) home available for short or long term rental. With a great open plan living area that features a fully equipped kitchen, is heated by your choice of a heat pump or freestanding wood burner, there is always plenty of dry firewood in-house. Fully fenced private and sheltered backyard area with gas BBQ and outdoor furniture. 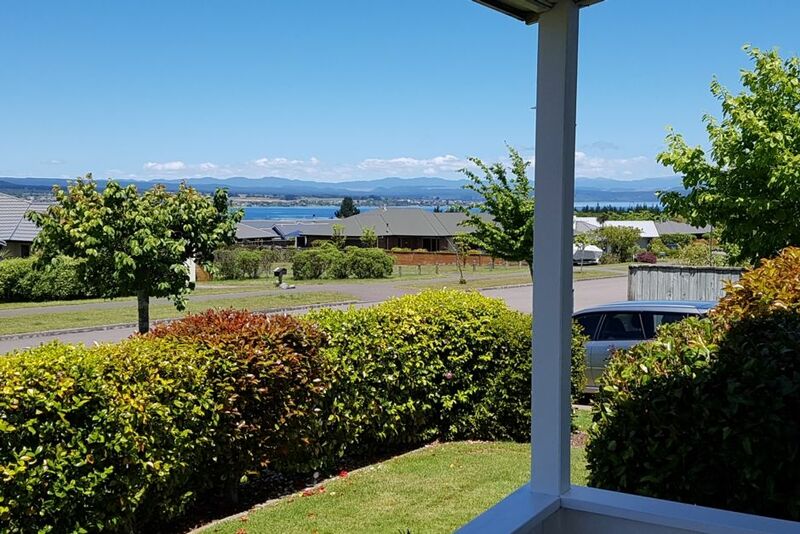 Taupo is well known as the event capital of the North Island, with amazing trout fishing, world-class golf courses, bungy jumping, jet boating, skydiving, sailing, paragliding, mountain biking tracks, the Great Lake Walkways and many other activities. Located in Lochaber Drive which is on the Western side of the lake and approx 2kms from town and just a 5 minute drive to Acacia Bay, lovely gardens, private outdoor entertaining area. Strictly no smoking inside the house. Please respect our holiday home by leaving it tidy. Guests are to clean up and leave the property as found, although we offer an optional cleaning charge should you wish to just lock-up and leave. A few quiet drinks are fine, but if you are wanting a house to party in, then sorry but this is not the house for you. Please supply a brief description of the nature of your stay when making booking request. Rates vary depending on the seasons/holidays/events being held and length of stay. Instructions re cleaning, key return etc upon departure are located on the fridge and are straight forward. Susan your house was absolutely perfect for us, very clean, tidy and a great location. Thank you for allowing us to stay. Very clean, neat, and tidy! We enjoyed our stay at this well-kept, comfortable home, with all the necessities of life. Was ideal for our needs, and we would definitely stay here again. Great location in a quiet road. Easy to get and out of town without too much traffic or tourists. The property was well presented very tidy and perfect for our needs. Well stocked kitchen with utensils etc. Great having two bathrooms. Beautiful smelling roses in the garden. Would be happy to stay there again had everything you need for a relaxing holiday. Quiet family area. It was the perfect Bach for what we needed. Very clean and tidy, cozy with the heat pump. Beds were comfy. Plenty of room inside an out. We will defenity be keen to stay again. Property was immaculate and very comfortable. Property was immaculate and very comfortable. We loved our stay, would highly recommend. Great location.